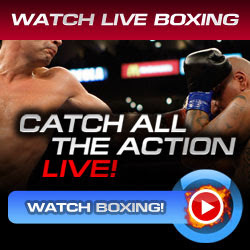 Lucian Bute successfully defended his International Boxing Federation Middleweight Title Crown against #1 contender Jean-Paul Mendy of France via knock out victory in the 4th round live from Romexpo, Bucharest, Romania. Lucian Bute throws the first jab. Bute connects a left straight. Mendey landed some combination before the bell rang. No action highlights in the first round, a measuring round for both boxers. Lucian Bute started the round the right jab. Jean-Paul Mendey missed the left hook. Mendey connected a combinations but Bute answered back a combinations and uppercut. In the final minute, both boxers exchanged hard punches. Paul Mendey connected a good body shot. Lucian Bute connected a good left hook. Great round. Jean-Paul Mendey started the round aggresively. Lucian Bute coonected a good 1-2 combinations. Warning for Mendy by hitting behind the head of Bute. Lucian Bute connected a great left uppercut and then followed again by hard left hook which Mendey backing-off. Bute landed a good body shot. Mendey has no answered. Jean-Paul Mendey throws the first jab. Mendey missed the left hand. Paul Mendey landed combinations on Lucian Bute in the ropes. Good right by Bute. Mendey missed the left straight after the right jab. In the 12 seconds remaining, Jean-Paul Mendey went down with his face on the canvass after Lucian Bute connected a good left hand. Mendey was badly hurt. Lucian Bute won! Lucan Bute still remain undefeated and a record of 29 wins - 24 knockouts and no losses/draws while Jean-Paul Mendey earned his first loss on his professional boxing career, 29 wins - 16 knockouts - 1 loss and 1 draw.